When I was 15 I convinced my grandmother to lend me the money to buy a very very very used StudioMaster 16 channel console. It was so simple and straightforward that it ingrained its signal flow in my psyche, I still think that way to this day. It also taught me to use EQ only if absolutely necessary, the EQ on it was so bad. At the time I did not understand what was going on, all I knew was that if I touched that knob I did not like the sound as much. So I did not touch the knob, I still resist using eq to this day as much as possible. That thing traumatized me for life, but I'm better for it now. The first real big pro audio investment I made was a Sony 3348. 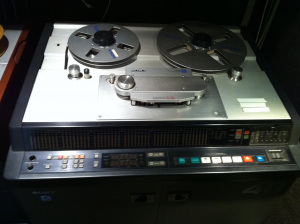 I bought from Bobby Nathan, he ran Unique recording in 1989-it was $109,000.00. I had grown weary of dealing with 48 track analog and locking up 2 machines, after using the 3348 a few times I had to have my own. It was a game changer for everything I did! I could make a comp reel from all the master and slave reels. It’s still in use today! My first piece of pro gear is hard to nail down, but I believe it was my 24 track machine. We bought an old 2” video deck and made it into a 24 track analog machine. It was a lot of work but I recorded a lot of albums on it. 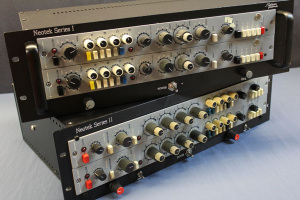 My VERY first piece of recording gear was a four channel Altec mixer, A U87 and a Sony 2 track that I used to record a bunch of bluegrass records. I was working with Nigel Godrich a lot at the time and he always had AE1’s rocking in the control room. I became so accustomed to the sound of the AE1’s working on my own projects separately, I would be so confused and lost listening on Genelecs or NS-10’s. Pulling the trigger on the AE1’s was the best decision I have ever made with purchasing gear. 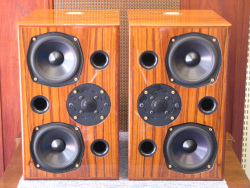 Being able to hear properly and feeling real comfortable about the sonics coming from a pair of speakers that you know really well is a MUST. Even if you are working in a room for a day or two that you don’t know very well. Having peace of mind that your comfort zone speaker is giving you a clear sonic picture is always a GREAT place to start working. 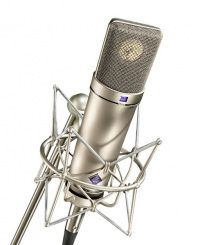 First ‘pro’ piece of gear I purchased, from an engineering standpoint, was a pair of Hardy M-1 mic pres - that I still have and use! I don’t remember exactly why I settled I on them as the first purchase. 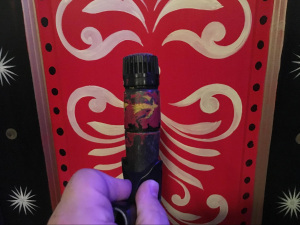 I think I was working in a wider range of studios at that point, and wanted to have a sound [API/Sunset Sound custom mic pre-ish] that I was familiar with wherever I went. My first piece of pro gear was an SM-57. It sounded so good in everything. Thirty years ago I had an artist friend paint it so I knew it was mine. And, I still have it. 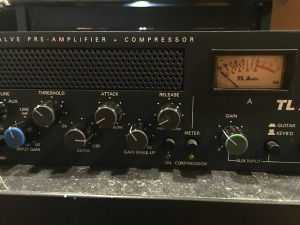 The first pro piece of gear I bought was the original version of the TL Audio C-1 (dual mic pre/DI/valve compressor) from Rainbow Guitars in Tucson. Up until I bought this, I recorded everything through my Mackie 1604 mixer and the TLA gave me compression as well as really good DIs. It was the only mic pre I used for almost a year when I first moved into what would become Punkerpad West. More important than the quality of the gear (which was fine), it completely changed my perception of what I was doing and it made me stop blaming the gear when stuff didn’t sound good. There are different stages of my professional gear, first I would like to mention the Akai S900 that I got when I was 16 years old. The Akai S900 was one of the first affordable portable samplers, it allowed me to put together my first quality source of samples to create my own productions. The Akai also had 8 outputs so I was able to do my mixing work with individual sounds and create a little bit of separation in mixing. 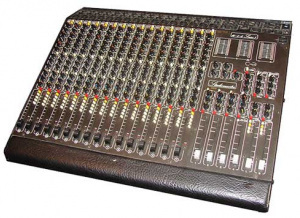 As a mixer, my first professional tool was a 2 channel Neotek Series One. 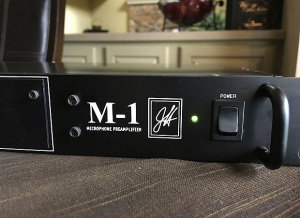 It’s an amazing EQ that through the years I have made modifications to and it has built my kick and snare sound for years. What was your first piece of pro gear? Leave a comment!